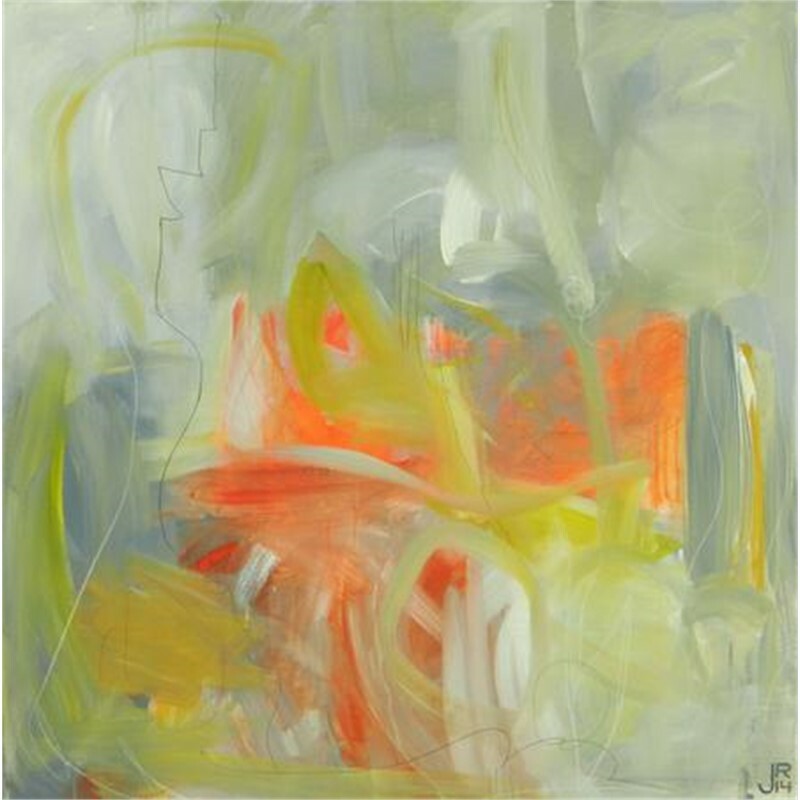 Known for edgy and evocative abstract paintings, Jennifer Rivera often employs the use of bold colors and gestural movements. Her large scale works have been described as captivating interpretations of life’s moments, rich in dimension and detail. 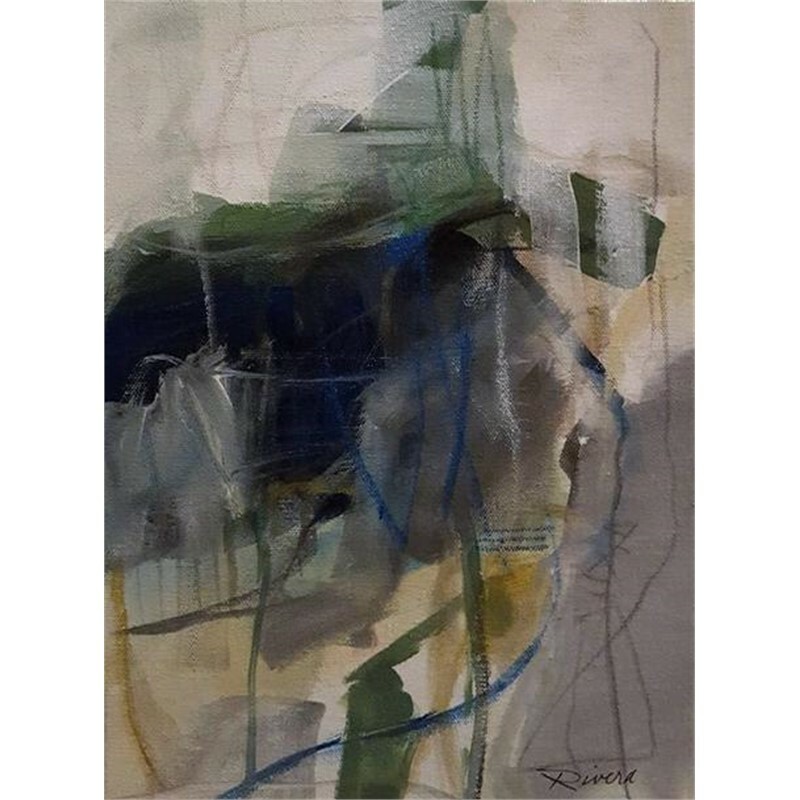 Named in KC Magazine as one of Kansas City’s top five visual artists in 2010 and 2011, Rivera’s work has been shown in many exhibits including The RED show at Marietta Cobb Museum of Art in Atlanta, as well as a solo exhibition at the Albrecht-Kemper Museum of Art in St. Joseph, MO. Recently her work was requested to be featured in the major feature film American Honey. Her works can be found in both private and corporate collections, including The Archer Foundation, Tenasko Corporate Headquarters, Emprise Bank, and Spaces, Inc. Quietly observing nature and those around me, I am fascinated by how each being moves through the world. Using rich, lyrical language to express ourselves, performing rituals, and creating memories, we each respond uniquely to the world around us. Although at times these responses may seem inconsequential, they are like pieces in a puzzle which all fit together to form a picture of our lives - our life stories, if you will. These responses are what intrigues and inspires me. I am definitely an active painter in the sense that I do not use an easel, but instead I lay the framed canvas on the floor of my studio, constantly moving around it, working from each side and angle until the painting is complete. Working in this manner allows me the freedom to engage in the piece in its entirety and not from just one perspective. Using layers of paint and graphite markings, applied with my hands as well as numerous tools, adds to the physicality of my process, and helps me connect with the composition. My work explores the moments of everyday life and how we respond to them. 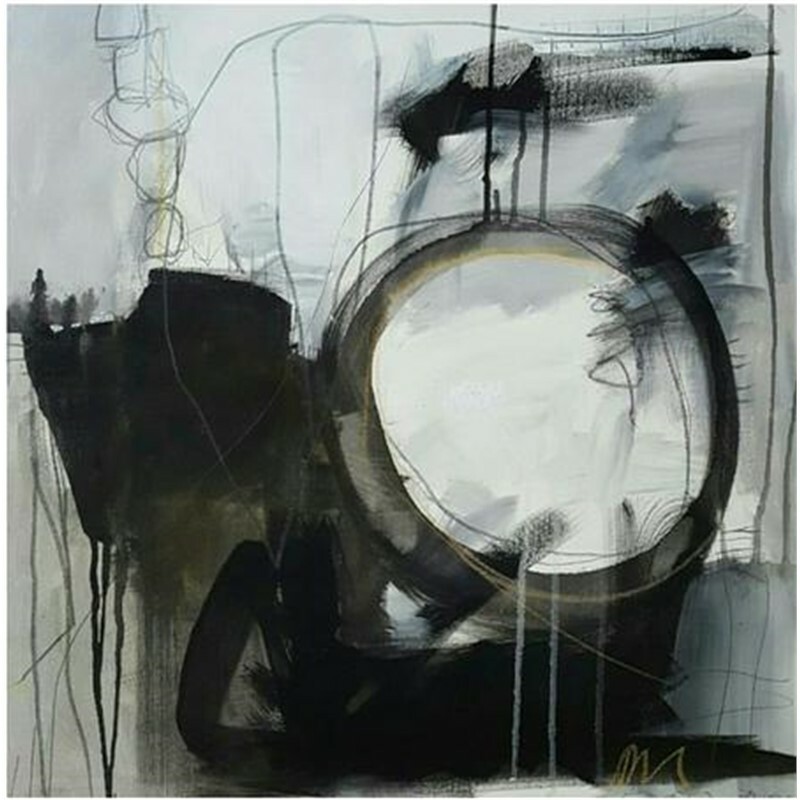 The abstract composition allows for individual exploration and freedom of interpretation. My hope is that each viewer's experience with my work will be as unique as their own life story. 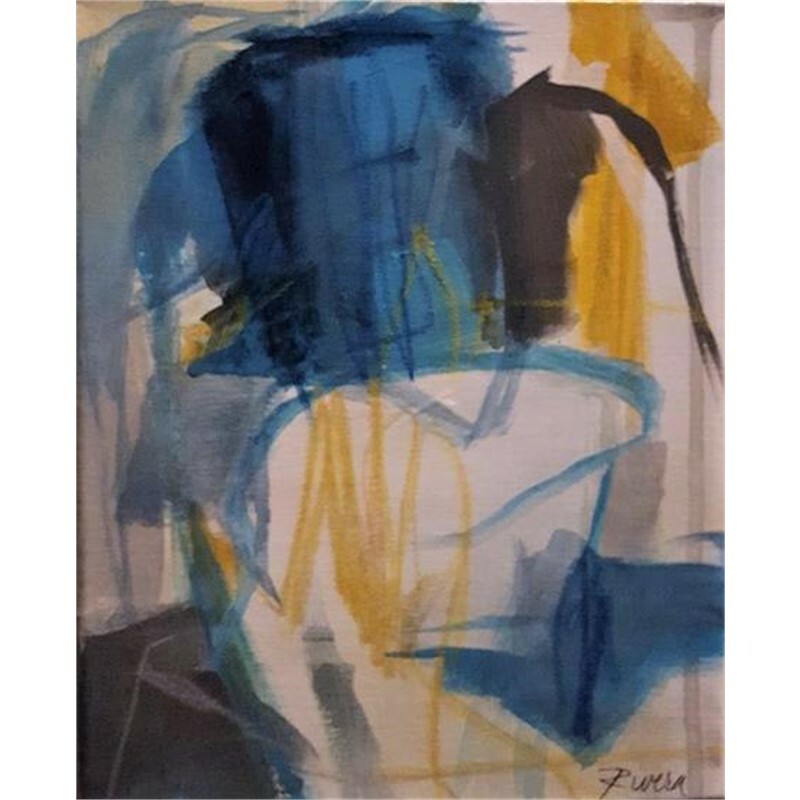 Known for edgy and evocative abstract paintings, Jennifer Rivera often employs the use of bold colors and gestural movements. Her large scale works have been described as captivating interpretations of life’s moments, rich in dimension and detail. Named in KC Magazine as one of Kansas City’s top five visual artists in 2010 and 2011, Rivera’s work has been shown in many exhibits including The RED show at Marietta Cobb Museum of Art in Atlanta, as well as a solo exhibition at the Albrecht-Kemper Museum of Art in St. Joseph, MO. Recently her work was requested to be featured in the major feature film American Honey. Her works can be found in both private and corporate collections, including The Archer Foundation, Tenasko Corporate Headquarters, Emprise Bank, and Spaces, Inc. Statement Quietly observing nature and those around me, I am fascinated by how each being moves through the world. Using rich, lyrical language to express ourselves, performing rituals, and creating memories, we each respond uniquely to the world around us. Although at times these responses may seem inconsequential, they are like pieces in a puzzle which all fit together to form a picture of our lives - our life stories, if you will. These responses are what intrigues and inspires me. I am definitely an active painter in the sense that I do not use an easel, but instead I lay the framed canvas on the floor of my studio, constantly moving around it, working from each side and angle until the painting is complete. Working in this manner allows me the freedom to engage in the piece in its entirety and not from just one perspective. Using layers of paint and graphite markings, applied with my hands as well as numerous tools, adds to the physicality of my process, and helps me connect with the composition. My work explores the moments of everyday life and how we respond to them. 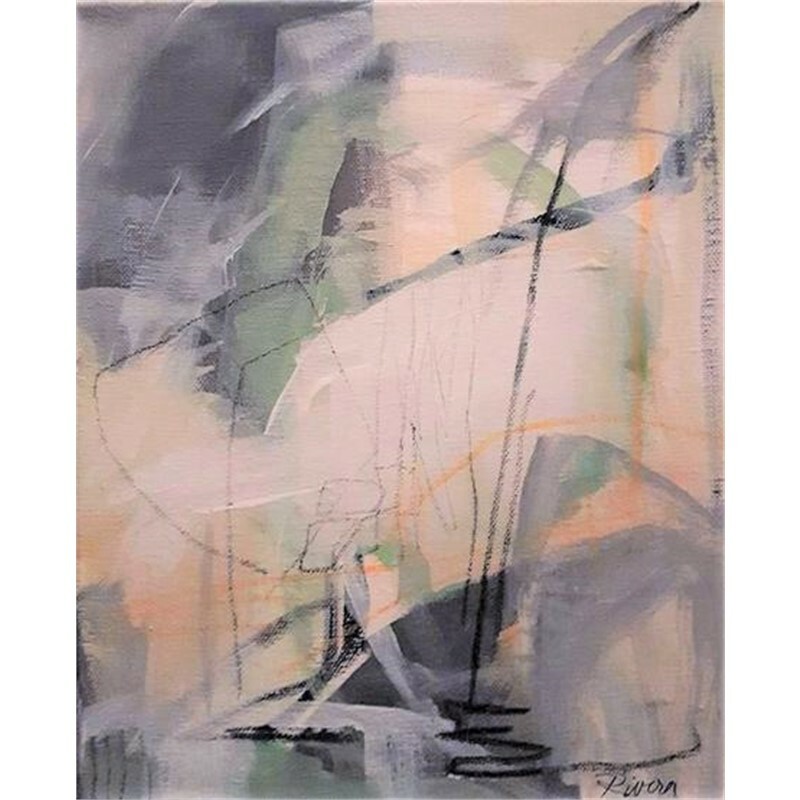 The abstract composition allows for individual exploration and freedom of interpretation. My hope is that each viewer's experience with my work will be as unique as their own life story.